Like most advocacy foundations, we too rely on community engagement and charitable contributions. Cooperative passion is our engine and a sustainable revenue source is the fuel. With those two drivers in place, we can identify the most critical issues impacting children at local, state, and national levels. We can achieve lasting change through legislative and activist efforts. We can rally for joy. There are organizations built around passing laws to protect trees, coastlines, and birds—all unquestionably important—but there is not an advocacy group in America dedicated exclusively to keeping children safe. Sexual predators, online predators, domestic abuse, pesticides, gun violence, drug proliferation, bullying, food safety, air quality—the list of what threatens our kids is far too long, and it continues to grow. 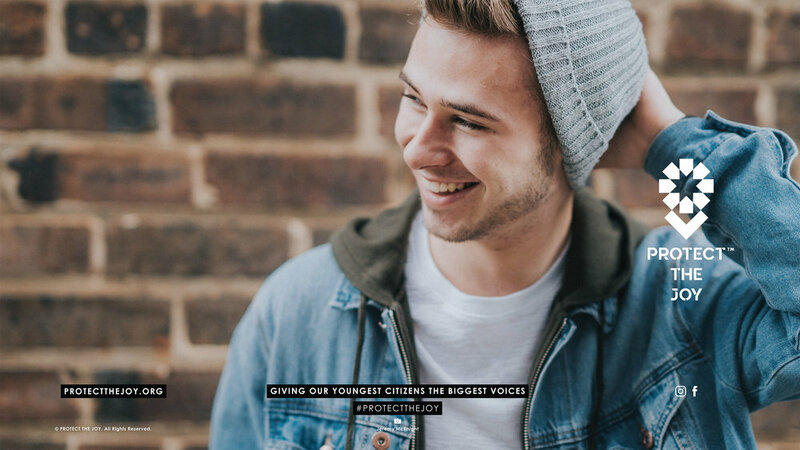 Protect the Joy harnesses the invaluable input of our Changemakers combined with powerhouse activists, communities of doers, and legions of lawyers to develop, champion, and pass legislation that protects children from harm. Together, we give children a voice in every State Capital building, in Congress, in the Senate, and in the White House. WITH YOUR VOICE, KIDS WILL FINALLY BE HEARD.